Wise words! I try to identify the top 3 things I must get done in a day. Once those are done, I start to think it terms of what is important and urgent, urgent but not important, important but not urgent, and lastly not important and not urgent. I also always have lots of house projects in my “wish list” so I keep those separate-otherwise the must do’s would never happen! Daria, that finite breakdown of the 4 options is a proven exercise of prioritzing tasks. Using this method will impact time-management and daily to-do’s in a big way. Thank you for sharing! I appreciated your distinction between a do list and a wish list and the necessity of knowing the difference. I make sure to identify my #1 top priority for the day usually the night before. That gives me the direction I need the next morning. Thanks for sharing this post on P.O.B.C.! Yes recognizing the difference between these two are common thinking errors. For me, it’s similar to “need” vs. “want”. Decision-making and prioritizing is the first piece of this process. Ultimately, this is our grandiose to-do that is ongoing each and every day . Thank you for stopping by to comment! Great advice. Reviewing the list instead of taking action right away is so important. If there’s an issue seeing the steps, try asking a friend or loved one to review the list with you. Talking out loud helps see the steps more clearly. 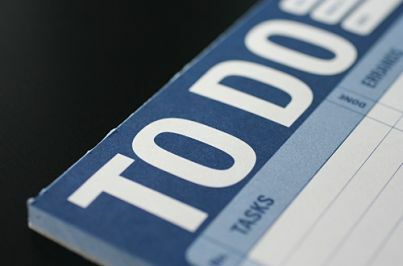 I tend to write my list and it includes at times, tasks that I know I will not accomplish that day. Instead the tasks are “wish to do” instead of “to do”. Great differentiation between the both. This article def reminded me why I need to stay organized and always write the important things that needs to be done! Thanks for this great article.